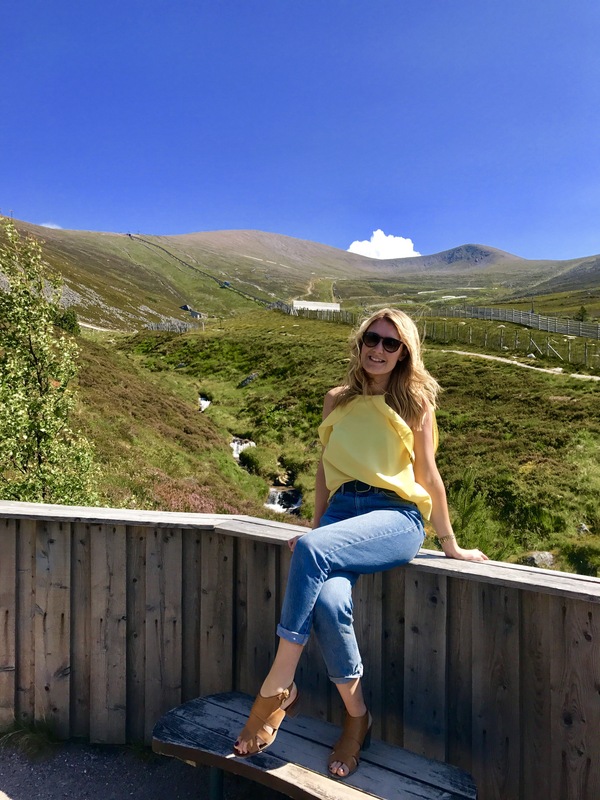 Edinburgh lifestyle blogger with a love for pretty city lights, travel and the occasional social blunder. Let’s face it. Sometimes life can get pretty hectic. If you’re lucky, you manage to find a seat on the early morning bus or train into work after scrambling desperately for a seat. It’s regularly crammed with empty crisp packets and sleepy commuters, who have their heads burried deep into an IPhone, carrying a strong, still, scoulding expression, reminiscent of their first cup of coffee that’s not fully kicked in yet. At work, you reply to emails, answer calls, attend meetings, become ever so aware of that looming daily deadline and if you are anything like me, often contemplate running off to Ibiza, where you’ll set up a beach bar and consume daiquiris the size of your head on an oversized flamingo. Sounds super dreamy, right? The travel home from work often feels like a zombie apocalypse, like the world is ending and everyone is trying to escape on the M8 or 22 bus. After impatiently waiting for your ride home that’s running ten minutes late, you are greeted by last nights dirty dishes and then spend an hour gazing at the fridge and wonder what you can whip up with your key ingredients – spinach and marshmallow fluff. You wish Joe Wicks ‘Lean in 15’ would stop staring at you from the cupboard shelf with that beautiful hair and washboard stomach while getting out a spoon for said marshmallow fluff. Hanger 1 – You – 0. Not that I’m complaining, infact – quite the opposite! I love my job. I’m blessed to have an amazing group of friends and family. And my bus journey doesn’t have zombies, no. Well… not at every stop! And as IF I want to live in Ibiza and drink cocktails anyway. I guess that’s just… life. Sometimes you just want to get away from it all, right? Relax, kick back and have zero plans with zero people. 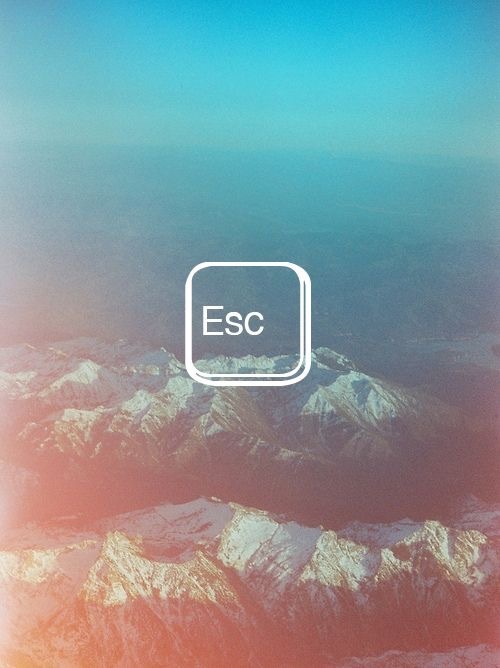 Escape and go see the world. Be a hermit and stay in your pj’s for days. Not wash your hair for a week because you can. See if you can burp the alphabet after one too many ciders. No? 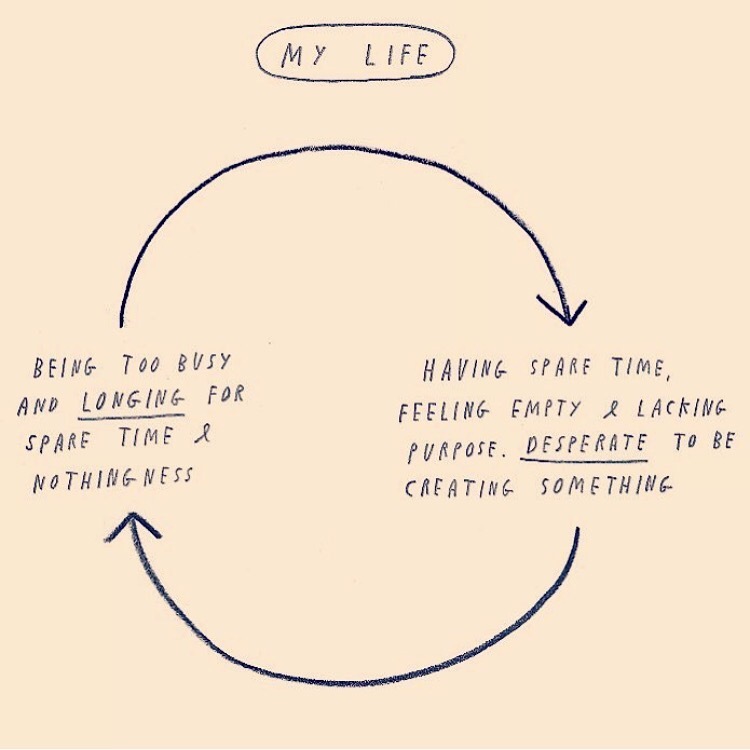 Just… me? With no proper time off work since February, I felt it was time to book in a chill holiday and escape the Monday to Friday 9-5. But with a pending visit to see my brothers in Australia – it would have to be somewhere that wouldn’t break the bank. 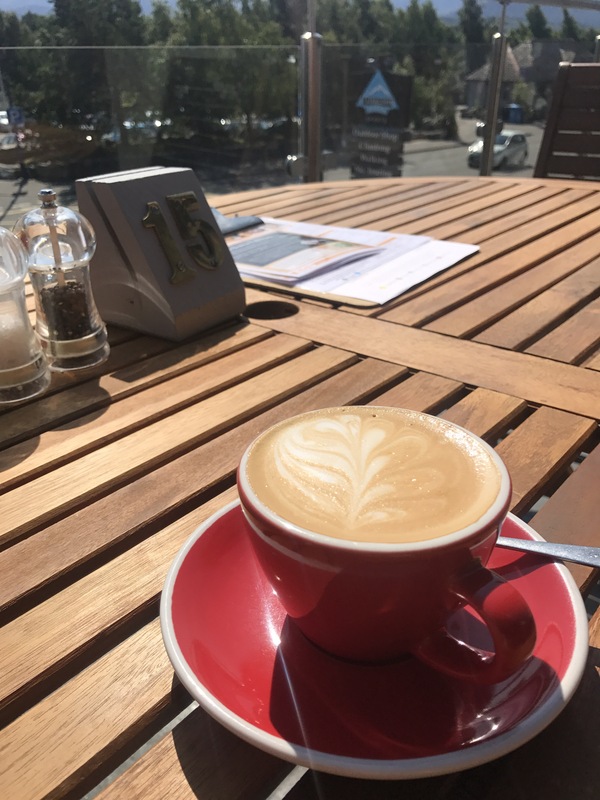 So, where could I feel at peace, have some serious down time… be surrounded by postcard views and feel fresh air crowd my lungs? Where could I be eaten by midges, feel the rain dribble off my just applied mascara and witness constant moody over cast skies? Scotland. Yeah, you guessed it. No where else in the world quite like it. While searching for the perfect staycation, I had a small mental checklist of what would be just perfect. 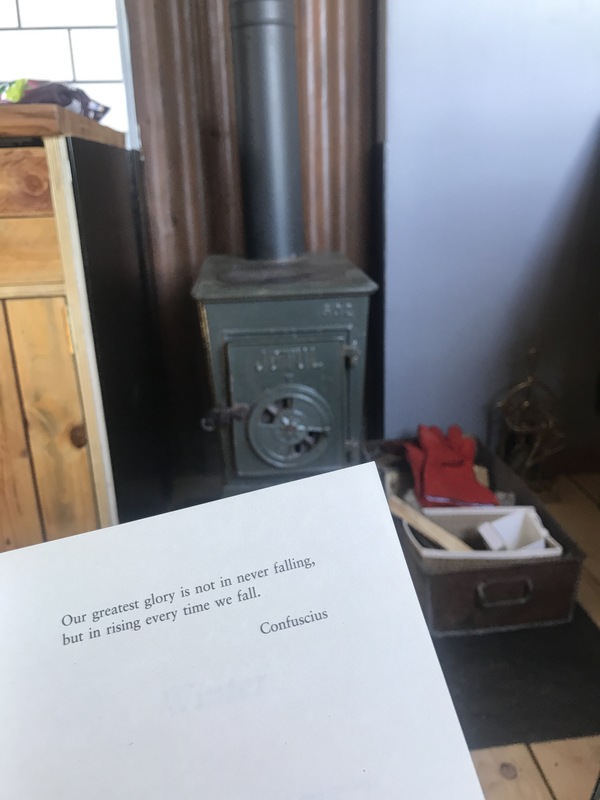 I happened to stumble across a little gem called ‘The birds nest’ on Airbnb that happened to tick all the boxes, or ‘on paper’ was totally our type! 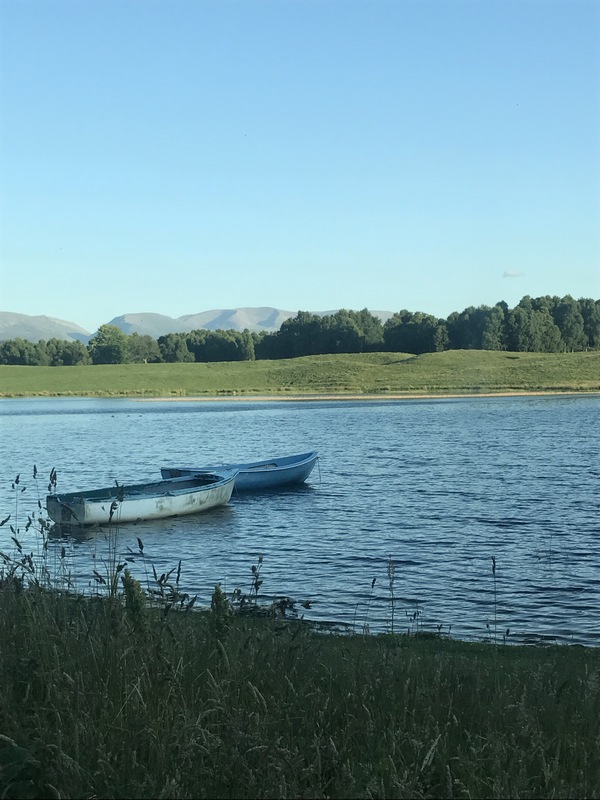 Nestled in the farm lands of Aviemore – I pressed BOOK NOW and already had started counting down the days for our get away. The day soon arrived! YAY. 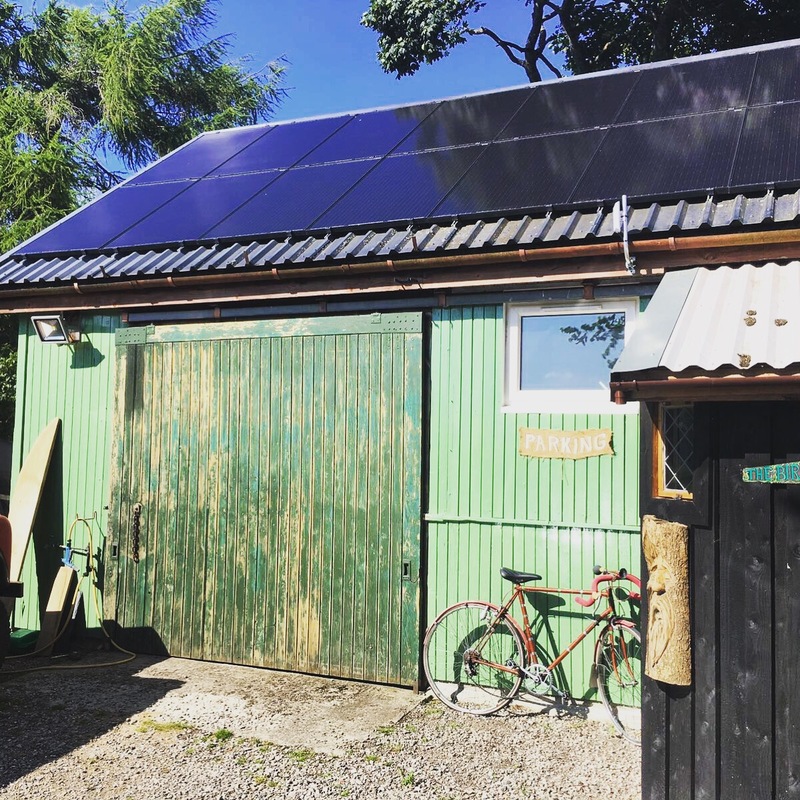 After packing an excessive amount of all weather clothing, emptying Tesco shelves of beer, cider and essentials like strawberry laces, we set off on our adventure to our converted workshop for 3 full nights… we were SUPER excited! Maybe too excited as we ended up driving east coast towards to Aberdeen instead of North before realising we had missed a turn off. Holy crisps! It only put another hour or so onto the journey. Great. It was also approximately 20 odd degrees. That’s what you get when you think you are more savvy than the trusty satnav. The road to get to our humble abode was a long, winding, super dusty track passing a beautiful array of quirky homes and a small pond, with nothing but a few ducks and boats floating over the gorgeous blue reflective water. Stunning! As we drove past, I was almost hanging out the window trying to take 100 pictures – there was so much GREEN! After driving over a small bridge with a passing steam train and what can only be described as a 180 degree bend – we had finally MADE it! We checked in with Emily, the lovely owner of the nest who lovingly built the cabin with her husband as a project on their farm. It was perfect. I ran up and down with excitement, I mean, I knew it was going to be amazing but WOW. Just what I was looking for, secluded Scottish countryside. The birds nest overlooks farmland and has a stunning view of the Cairngorms in the backdrop. It’s like someone has blown up a postcard and popped it on your window ledge. The weather was (I know we all say this being typically Scottish) but actually TOO HOT! The cows were grazing, the sheep singing, deer dancing and hens clucking. 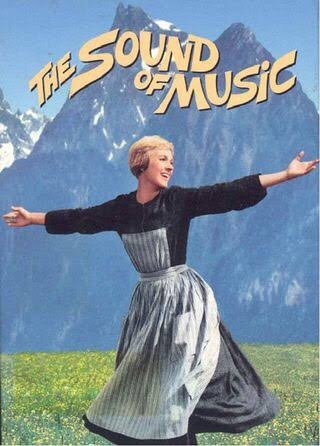 I was suddenly an extra in the sound of music! Julie Andrews eat your heart out! The interior was decorated in a very minimalist, super cool Scandinavian style that looked so effortless. You know, when cool people just throw cool things together but if you tried it might look like someone’s broke in and stole all your furniture. Yip, hear you. 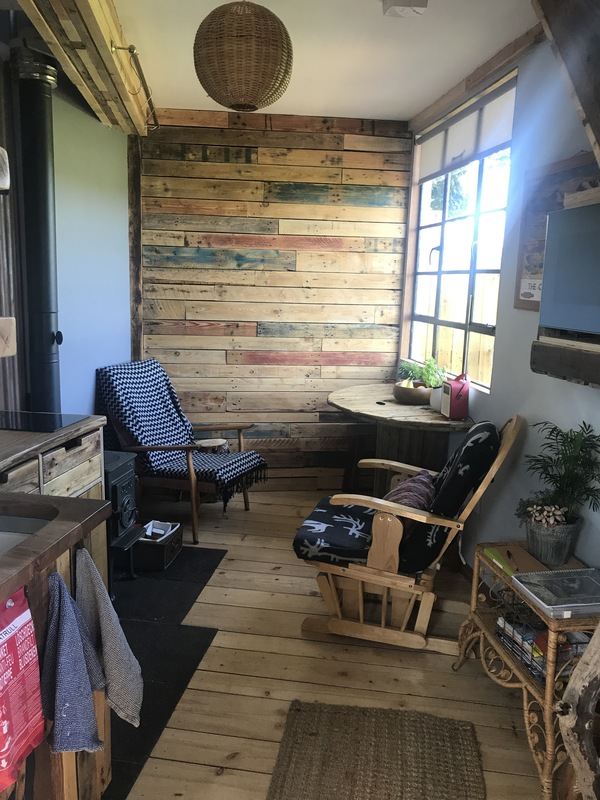 With a compact kitchen space, couple of rocking chairs and a view from the kitchen overlooking the vast fields next to a small wood burning stove that would be perfect for winter nights… think hot chocolate, toasting marshmallows with a good book. *Cameron Diaz – the holiday* type scanario. The steep, wooden staircase lead up to the mezzanine level – which holds a gorgeous lounge area and massive bed, all carefully designed and immaculately positioned. I couldn’t believe it was all HAND MADE in someone’s spare time. I mean, I don’t have enough time to get my nails done never mind build a cool converted cabin! Mental note: Must make better use of time! 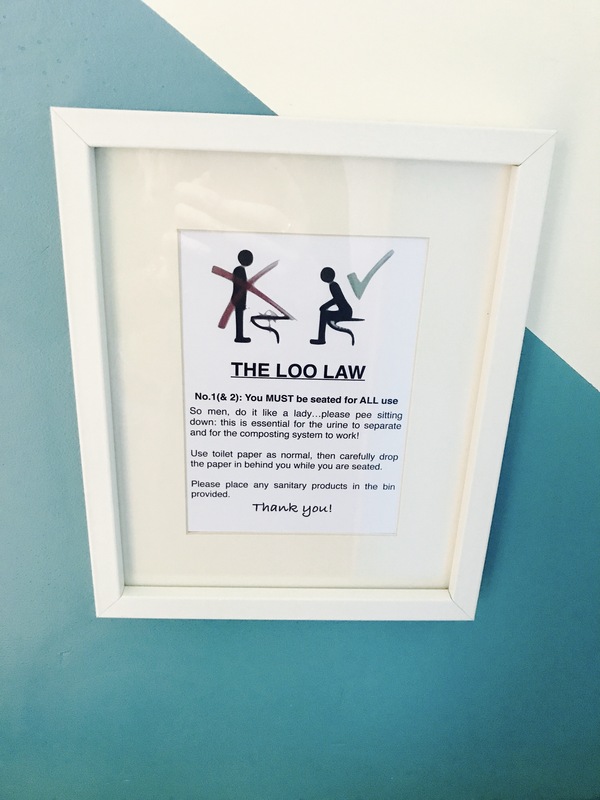 The only thing that took me by surprise was the compost toilet. Basically, no standard flush but sawdust in its place. 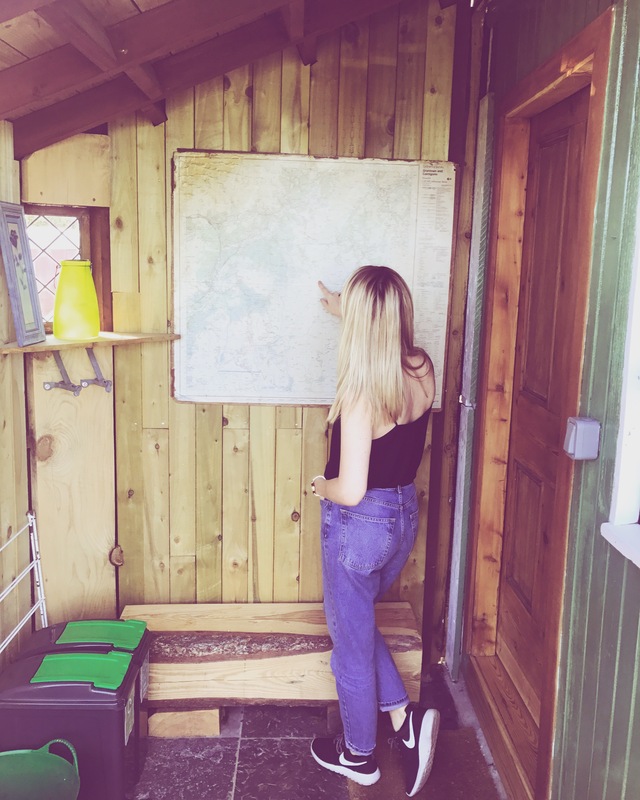 Totally in with the ecological and environmental friendly vibe the cabin has going on! It’s definitely enough to push the boundaries of a closer than close relationship, let’s just keep it at that peeps. Also – for a hoverer, it wasn’t easy. The sun gods answered my prayers and it was a schorcher…. 25 degrees and climbing. So, we jumped in the car and headed down towards the beach to catch some rays. 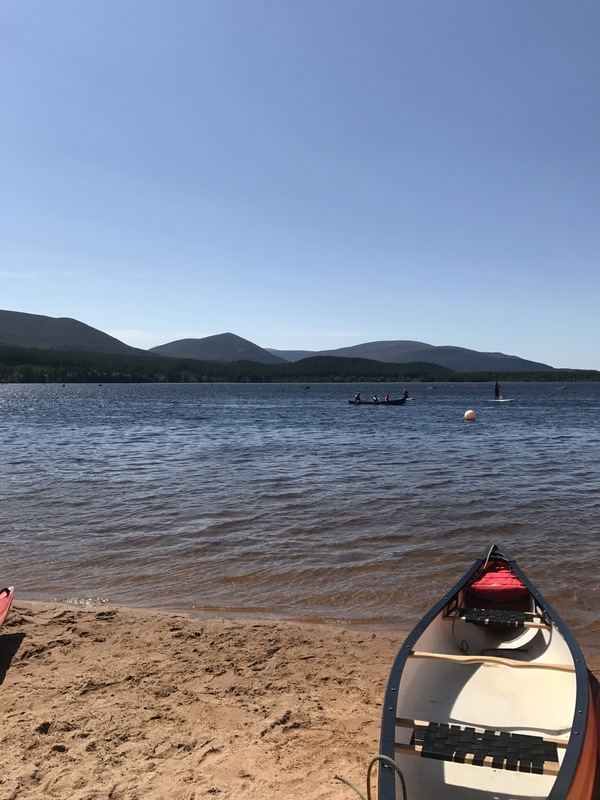 A MUST do is visit Loch Morlich. 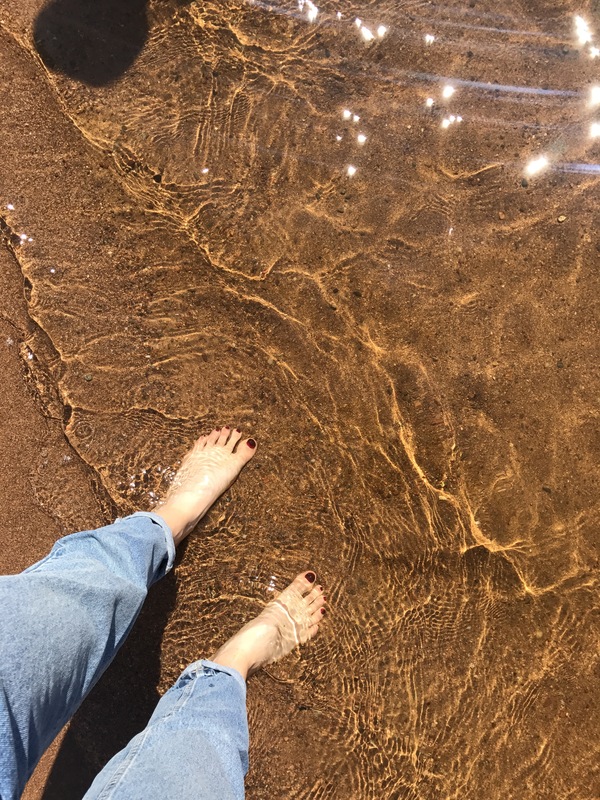 I could have been in Ibiza – although in Ibiza I would have had on a bikini like most normal people, not my heavy mom jeans, heels and a yellow top that would result in bad tan lines. I was feeling SO chilled already and seeing the breathtaking scenery was making me feel happy inside. After a few hours and some seriously bad tanlines, we decided to pop up the Cairngorms to catch some views with our lunch. It was a 90 degree hill and since we were packing some extra layers, the car wasn’t just stifling – it was struggling to even get past 20 miles an hour to the top. Some lads on cycles were passing us by, I’m sure I caught one of them sniggering and asking if we needed a push. Erm, yes please!? We got there eventually and the views were epic. Still beautiful and the sun was shining all over the mountains, glistening across the water and manovering in and out the clouds above. I had NO signal. Nothing on my iPhone. I didn’t even miss it. The scenery was so amazing I felt like all my worries were drifting off into the clouds above. After returning back to our retreat, having a few ciders and playing a cards for a few hours, we decided to hit the road. Emily explained we can walk into town easily through a forest that should only take an hour or so. Perfect. We had our maps looked out and felt confident we knew what we were doing. The walk was beautiful and green… I felt like I was in Canada or America, out in the wilderness with wild dear hoping around, midges eating me alive. I repeatedly asked Chris if he knew where we were going and assuming he knew the way. Emm, negative. One hour in and no sight of human life, we realised we missed a path along the way. SO US! I must admit, there is something nice about feeling lost. Feeling a million miles away from everyone and everything. 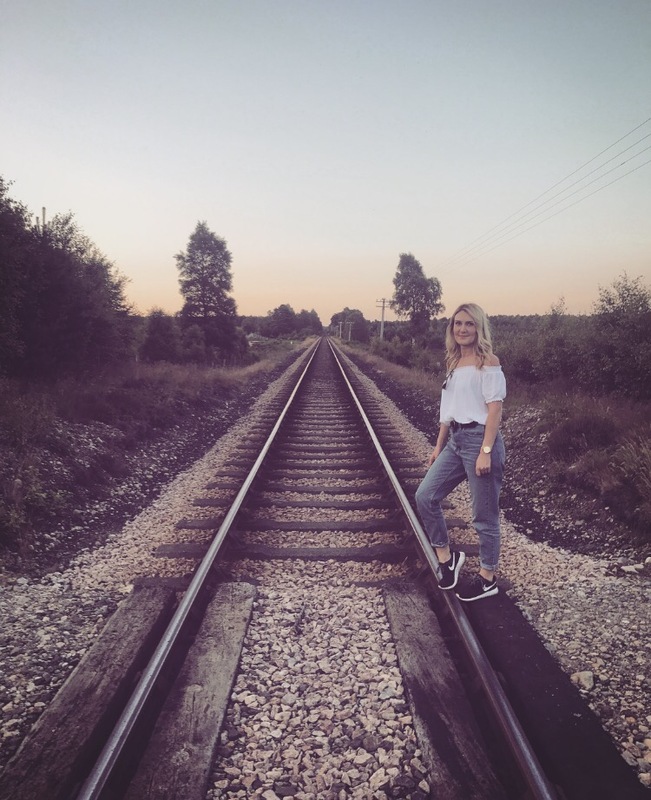 We stumbled across an old steam railway just before sunset. Looking down the tracks, I wondered where the train was going. I wondered what was at the end of the road, the final destination. It was so quiet, it was amazing to be switched off from the world for a while. Then… I started thinking about WHAT THE HELL was going on in Love Island… Get me to the pub. Ahh! 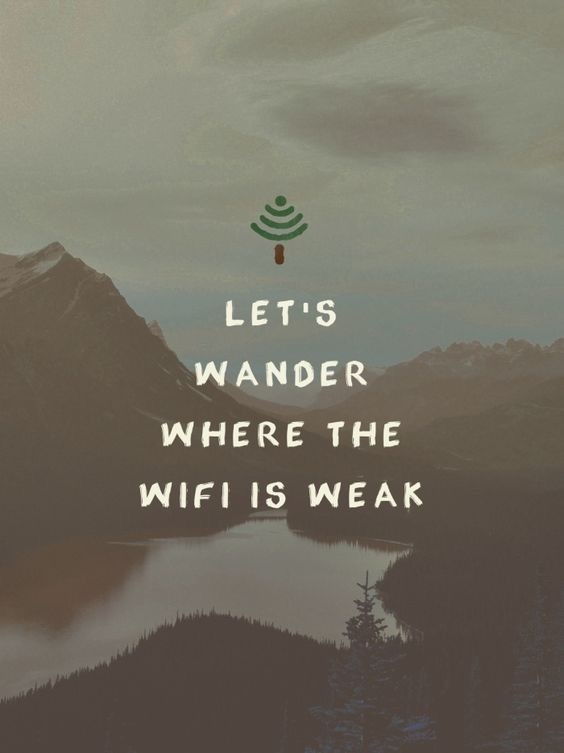 Where’s the wifi at peeps? The rest of our time away was filled with eating, drinking, Cairngorm brewery tours, reading and writing. I can’t remember the last time I felt so relaxed and chilled. I can’t recommend it enough my friends, and even if you just need a long weekend, this is PERFECT for you. 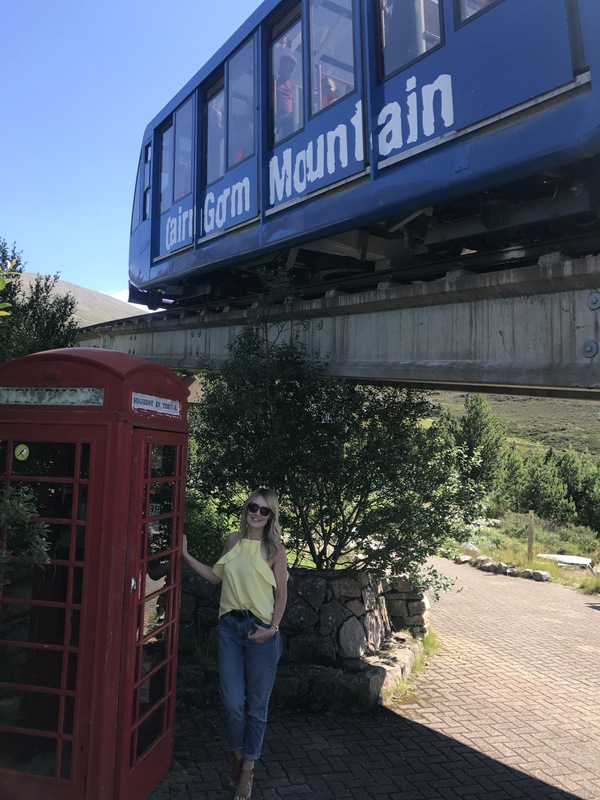 Here are my top 5 tips for your escape in Aviemore – your must see and do’s. 1. Visit the Cairngorm brewery for a tour and LOTS of beer tasting afterwards. Malkie (who calls himself Malkie the Alkie) is absolutely brilliant and is also a stand up comedian. Best £5 you’ll spend… do NOT take the car! 2. Eat breakfast at The Mountian Cafe, grab a full breakfast and a slice of homemade cake, the selection is UNREAL. You are SO welcome. 3. 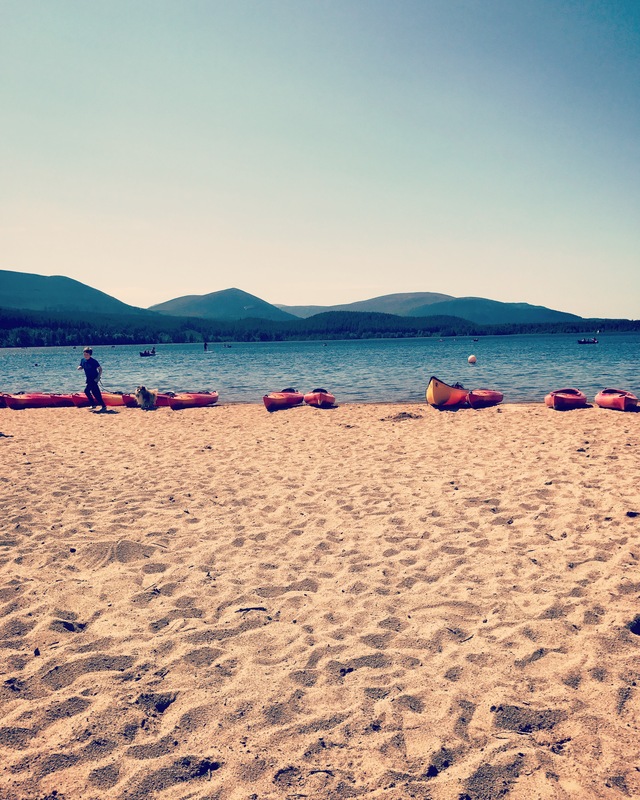 Visit Loch Morlich and go kayaking, we totally would have if a certian someone didn’t get sea sick. The beach is beautiful. You can always pack a picnic and a few beers. 4. Stay at ‘The Birds Nest‘ in Aviemore, I think the pictures say it all. Make sure you have a car and walk into town is around an hour. Fresh eggs provided and THE comfiest bed. 5. Walk up the Cairngorms and see Scotland in all its beautiful-ness! If you pack rubbish shoes like me… you can always pop on the train up to the top to the cafe for a quick drink before heading back down. Hope you enjoy the recommendations and if anyone could bring me home a big slice of red velvet – I would love you forever. It’s pretty nice to sometimes just take some time out of everyday LIFE. Switch off, recharge those batteries, take a step back and realise that life is actually pretty… extraordinary.